A REDUCTION in Canada’s canola exports and tightening world wheat stocks have been forecast in the United States Department of Agriculture’s (USDA) April 2019 Oilseeds World Markets and Trade report, and both can be seen as vaguely bullish for Australian grain prices. The report, which was released overnight, has cut its forecast for Canada’s 2018-19 canola exports by 1 million tonnes (Mt) in response to a slowing pace of trade and the recent trade dispute with China. Exports are now forecast to reach 10.6Mt, down slightly from the previous year. 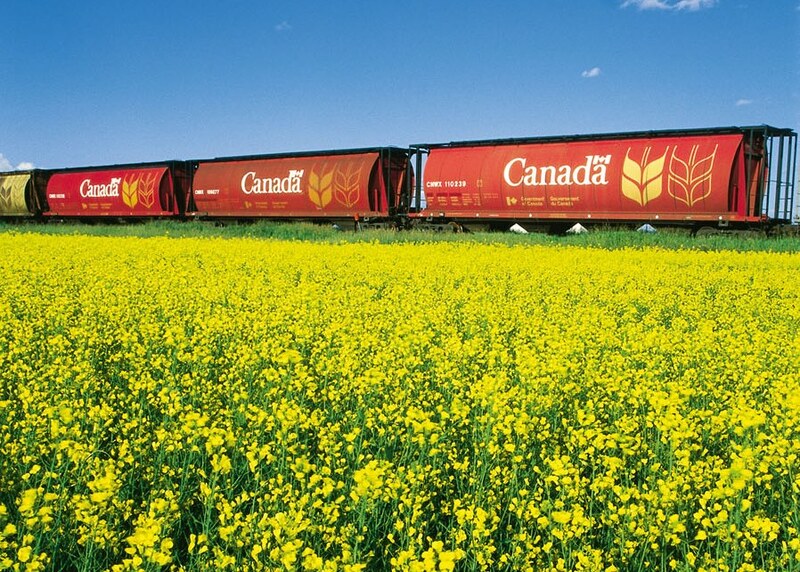 However, the report said Canada’s pace of canola exports will need to accelerate relative to last year to reach the current forecast, as shipments for the year to January have fallen to below 10Mt. “To achieve this, Canada may need a quick resolution to the current trade dispute that has cut off access to the China market for the two largest exporters, Richardson International and Viterra,” the report said. The report said it might not be easy for Canada to locate other markets to cover the shortfall. Since 12-month exports peaked in late 2017 at nearly 11.7Mt, the report said exports to markets outside China have remained flat or declined. “Part of the issue is competition from soybeans, particularly from the United States, that has likely contributed to lower demand for canola in the United States, Mexico, and South Asia. Despite the current restrictions on rapeseed exports to China, the report said exports of canola meal and oil are currently unaffected overall, and exports of both to China have risen. Since the end of 2016, China’s share of Canada’s canola meal exports has doubled from 15 per cent to 30pc, but with crush capacity limited, overall export growth has also been limited at 6pc. On canola oil, the report said a similar pattern existed, with a rising share of exports to China, up from 21pc in 2016 to 36pc now. Unlike canola meal, oil exports have grown more rapidly since 2016 at 12pc, but remain constrained by crush capacity. The USDA’s report has provided some detail about the marketing year ending 31 May, when global production dropped 4pc from the previous year to its lowest level in four years. Much of the decline was in major exporting countries, with the EU having the largest decline as dry conditions in its northern member states resulted in its smallest crop in six years. Russia’s production was down substantially from the previous year’s record, but remained the third-largest on record, while Australia was walloped with a second year of drought conditions which resulted in the crop being the smallest in more than a decade. On the other hand, the US crop was larger, but not sufficient to offset smaller supplies elsewhere in the world. Consequent to tighter global supplies, prices have trended higher and consumption is estimated to have fallen. The driving force behind lower consumption has been feed and residual use, which is down 5pc to the lowest level since 2014-15. With corn supplies being relatively abundant globally, wheat has become less price-competitive in feed rations. The largest reduction in feed use is for the EU, where imported corn has been priced at a more competitive level than wheat. Food, seed and industrial (FSI) use has continued higher, led by demand in China, North Africa, and Southeast Asia. FSI is normally a steady component of consumption as food demand for wheat tends to be more price inelastic than feed use. Still, the rate of FSI growth this year is the slowest in about 15 years, as tighter supplies have led to some rationing of demand, particularly in Sub-Saharan Africa. Even with consumption adjusting for the smaller supplies, carry-out is still expected lower than last year. Global ending stocks are projected slightly lower, but more than half of that total is accounted for by China, and stocks there are generally unavailable to the global market. Wheat stocks held outside China are down 10pc to the lowest level in five years. The stocks-to-use ratio for the world less China is projected at 22pc, the tightest in over a decade. Stocks held by the top eight exporters — Argentina; Australia; Canada; EU; Kazakhstan; Russia; Ukraine, and the US — account for much of the drop in global stocks. Ending stocks for the EU and Russia specifically are projected to be much tighter than a year ago. While most major exporting countries in the northern hemisphere have generally good conditions for new-crop winter wheat development, the USDA said it was worth noting that those countries’ ending stocks for 2018-19 are forecast to be relatively tight. While US stocks are forecast down slightly, they are still expected to be abundant. Beyond China, another exception to the tightening of global stocks is India, where stocks are up significantly in 2018-19 after the country harvested back-to-back record crops. Depending on its stock levels, India alternates between being a major importer and exporter. With larger stocks, it has now transitioned away from being a major importer, but exports are still not significant. The USDA said cotton production in Mexico, which in 2017/18 and 2018/19 jumped to levels not seen since the late 1970s, was expected to continue to remain high in 2019/20. The higher Mexican production has lowered import demand and affected United States cotton exports which, under the North Atlantic Free Trade Agreement (NAFTA), have accounted for nearly all of Mexico’s imports. However, Mexico’s imports have not fallen as much as production has risen. This is in part due to downstream contractual agreements requiring the use of US cotton. As a result, larger production and exportable supplies have driven exports to the highest level in over 30 years, buoyed in part by a sharp increase in exports to China in 2018. If Mexico’s production remains high for an extended period, it could make further inroads into domestic mill use as the downstream demand becomes more accustomed to the greater supply of local cotton. A successful outcome resolving US-China trade tensions could also reduce Mexico’s export opportunities, increasing pressure to use cotton domestically. Neither of these outcomes bode well for US cotton exports to Mexico. Globally, cotton consumption for 2018/19 is forecast down slightly, mostly in Turkey due to its recent economic problems. The USDA projects that trade will be down marginally on lower imports by Turkey, India, and Vietnam which offset higher imports by China. Lower exports are forecast for Burkina Faso and India with higher exports for Australia and Turkey. Global production is virtually unchanged. US consumption is lowered, and stocks are raised.